Kingdom Hearts -HD 2.5 ReMIX- released in North America and Europe just last month, so hopefully many of you have had the chance to play through all of the games in the collection during the holiday season! Since this is the first time Kingdom Hearts II Final Mix has been available in the west, this seems like the perfect chance to revisit Tetsuya Nomura's Director's Secret Report XIII, a thirteen-part look into the various secrets about the world, characters, and storyline of the Kingdom Hearts series. 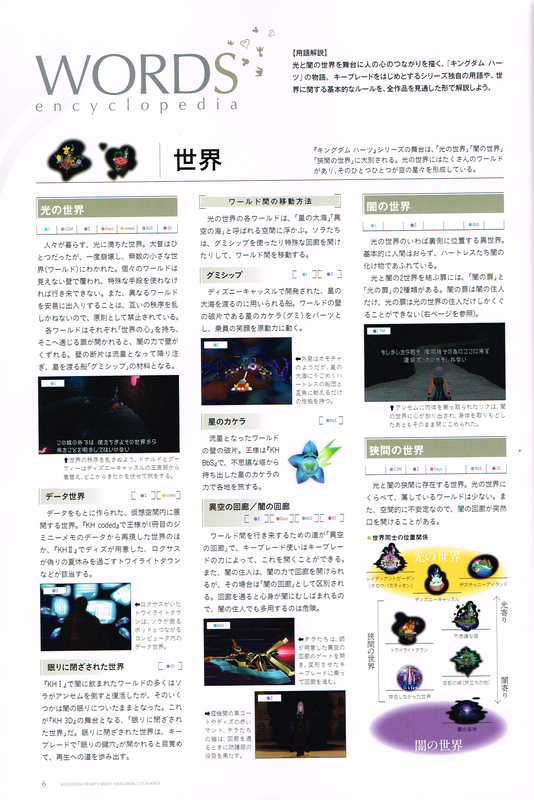 This report was originally included in the "Another Report" booklet that came with the Limited Edition version of Kingdom Hearts II Final Mix+ back when the game released on March 29th 2007. For those of you who may have never gotten the chance to experience Kingdom Hearts II or read this report before, hopefully you will find this information helpful to uncovering the mysteries of this series and gain a better understanding the world of Kingdom Hearts. It should be noted, though, that because this information is nearly eight years old, some of it might be contradicted or already expanded on by newer games and interviews conducted by Tetsuya Nomura. Many thanks to Goldpanner for her hard work in translating this report, and be sure to visit her website for more of her translation work related to Kingdom Hearts! Copyrighted by Disney, Square Enix, Edgar Rice Burroughs, Inc., and Touchstone Pictures. No profits are gained from these unofficial fan translations. "At present, I think there are four broad stories you could say are blank." I. 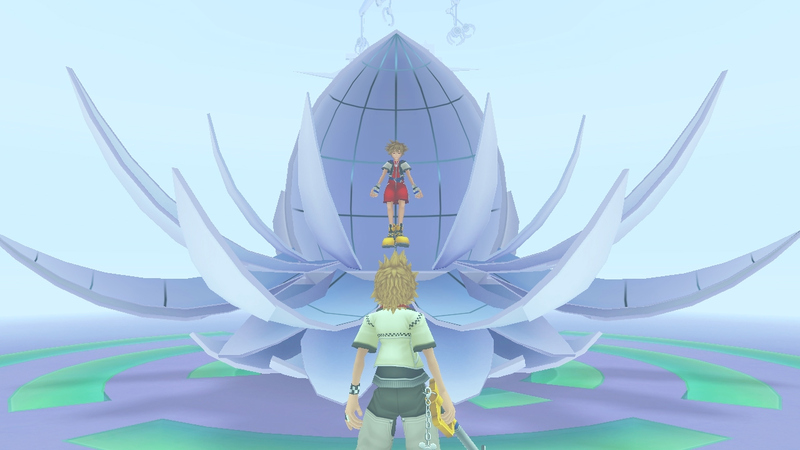 In the Kingdom Hearts (hereon KH) series so far, two kinds of 'Kingdom Hearts' have appeared, the 'heart of worlds' and the 'heart of people'. Can you please explain their makeup? I think of 'all life has heart' as the most basic premise of KH. The heart of worlds was a great heart that gathered everything that formed those worlds: the natural things such as the trees in the forests, the oceans and rivers, the flowers and such. The heart of people, as it is called, was the collected hearts of the humans and animals and such that lived in those worlds. A Kingdom Hearts is considered to be an aggregation of the originally invisible 'proofs of life' known as hearts. II. Please explain the structure of and means by which one may travel between the worlds that serve as the setting of Kingdom Hearts. As for the structure of the worlds, first, the so-to-speak normal worlds--the ones that Sora, the Disney characters and we live on--are situated in the Realm of Light. If you picture those worlds as existing on the same level on top of a giant plane, then on a separate level, in other words on the reverse side, exists the Realm of Darkness. 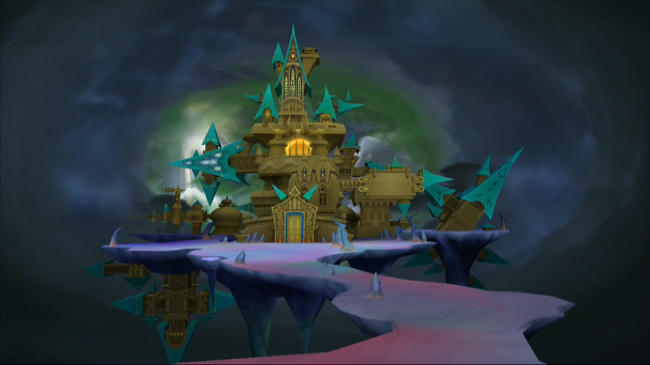 Regarding the Realm Between, four worlds have appeared so far: (A) Castle Oblivion, (B) Twilight Town, (C) Yen Sid's Tower, and (D) The World That Never Was. You can think of them as arranged like a stairway extending between the two Realm layers, something like Light < C < B > A > D > Darkness. There are two ways to travel, one of which is to use a Gummi Ship like Sora and his friends do to move through the 'Ocean Between', the space studded with all the worlds. Worlds are encased in an invisible shell which keeps the individual world from being breached by other worlds, but when the door to the heart that exists in each world is opened, the shell covering that world is broken, and it rains down as a meteor shower. The meteors, fragments of that shell, result in Gummi Blocks for Gummi Ships. Gummi Blocks have the ability to breach any world as they were originally part of the world-covering shells. The other way is to use a 'corridor of darkness'. These routes are like a loophole of sorts and not pathways that should rightfully be used. While only those known as beings of darkness and beings of between are able to create entries and exits, in rare cases even other kinds of beings such as the Beast and DiZ, who held strong sentiment or hatred in their hearts, have been able to open a path themselves. However, this means being near the darkness. Make frequent use of the pathways and the darkness will completely erode one's body. 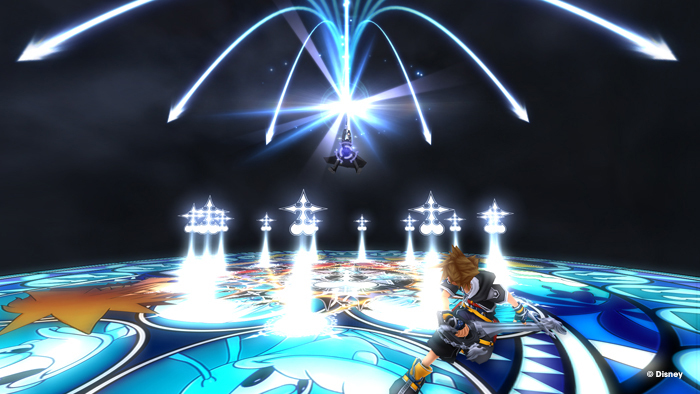 Sora and his friends have also used these pathways a handful of times, but you could consider that the effect of passing through a corridor of darkness is influenced by the strength of one's heart, and as such they have not used them to the degree of frequency that their hearts could have been stained by darkness. In which case, why hasn't erosion by darkness progressed in the heart-lacking Nobodies, King Mickey or Riku, despite them having used the pathways frequently? There is a secret relating to a feature they all share, explained in this very title. III. Is there a possibility that blank points in time and settings that haven't been shown in detail such as the 'Realm of Darkness' etc will be depicted in the future? Was the beach that appeared at the beginning and end of KHII the 'Realm of Darkness'? At present, I think there are four broad stories you could say are blank: 'King Mickey's period of absence'1, 'Riku's period of absence'2, 'Roxas' days with Organisation XIII', and 'Xehanort's past'. In that case, 'King Mickey's time of absence' would be a story set in the Realm of Darkness. I have been considering over and over how I ought to tell these four stories, so perhaps someday they will be told in some way. That place that appears at the beginning and end of KHII, called the Dark Margin, is the tip of the cape of that world, and it is not strictly part of the Realm of Darkness but a boundary-like place between Darkness and Between. This means that in the ending Sora and Riku are looking at an ocean in the Realm of Darkness from a beach in the Realm Between. 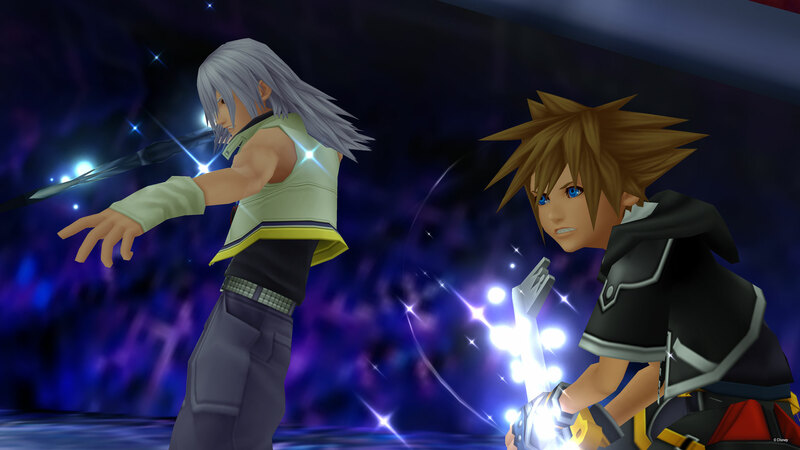 This also means that the scene of the door appearing in the ocean of darkness at the end was symbolic of Sora's 'deep down, there's a light that never goes out' line from the first game. IV. There are also many things regarding Castle Oblivion that remain mysterious. Did Organisation XIII build that castle themselves, with Naminé the original subject of the experiments they conducted there? Please tell us the details of the experiments the Organisation were carrying out. Also, was that pod that Sora entered something the Organisation built in relation to those experiments? Are they the same pods in Twilight Town? 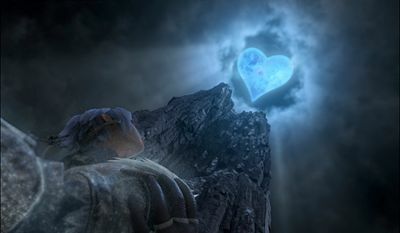 The ultimate goal of the Organisation was to obtain a Kingdom Hearts of the hearts of people and become complete beings, and because Nobodies were a new kind of being beyond all expectations, said to be 'nonexistent beings', the lack of background knowledge made it necessary for them to collect information relating to their own condition. One major feature of the Nobodies is that they form personalities and feelings through memories without hearts. This means that 'memory' is a very important element to them. The creation of Castle Oblivion itself is still a mystery, but, as you can guess from the cutscenes added to this title, you may consider that the Organisation discovered the castle, which was there since before the Organisation was created, at quite an early stage. And also, around the same time that Roxas woke up in Twilight Town, Naminé woke up in Castle Oblivion. This means that after was found by the Organisation after that. Just as each Organisation member has an attribute ability, Naminé possesses the power to manipulate 'memory', and they thought that this ability was the key to illuminating the truths of the condition of the Nobodies. This means that in that place that affected the 'memory' of those who entered they carried out experiments relating to memory. Above all, Xemnas, the leader of the Organisation, seemed to be searching for something important related to 'memory'. Some of their experiments involved the breaking and rebirth of memories, and those pods were for that purpose indeed created by the Organisation. The pod that Sora woke up in in Twilight Town was the same one from Castle Oblivion. DiZ had moved everything as it was in order to escape pursuit by the Organisation. Also, as Xigbar says in a cutscene added to this title: when the time comes to reveal the details of 'the true purpose of Castle Oblivion', all the mysteries regarding Castle Oblivion will be solved. "The fact that the two of them can dual wield actually means something very important." V. We believe there are still many mysteries surrounding the Keyblade. 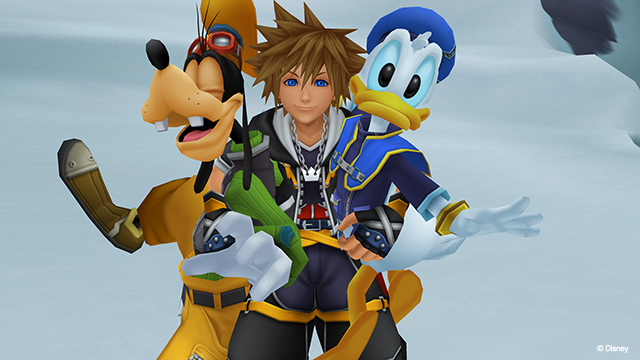 As of now we have been able to discern three types of Keyblades: Keyblades of the hearts of worlds of light, such as the one Sora wields, Keyblades of people's hearts, such as the one Riku made from the hearts of the princesses, and Keyblades of the hearts of worlds of darkness, such as the one King Mickey obtained in the Realm of Darkness. We would like you to explain each of these. Keyblades may have one of two make-up; light-side, or dark-side. That is not a 'good or evil' classification, however. Like interior versus exterior keys, the only difference is merely from which side they are able to work. The door of each world is normally closed, the keyhole itself in an invisible state. These keyholes, which appear when a Keyblade is held up to them, are not locked. This means that once the Heartless find a door it is very easy for them to open it and steal the heart, which is why Sora went around locking those doors in the first title. Keyblades were also used for a purpose different to any prior intentions or reasons - on the door that opens on the heart that stands as the gathering of the world's hearts, Kingdom Hearts - to guard against the darkness leaking from within that heart. In order to do that, the door had to be shut from both the side of light and the side of darkness, which required the use of Keyblades from both the Realm of Light and the Realm of Darkness. That is why King Mickey went to get a Keyblade from the Realm of Darkness - to serve as the counterpart to Sora's Keyblade of the Realm of Light. Then, as for the Keyblade made from the hearts of the princesses that Riku wielded in the first title, it was designed from the special hearts of the princesses purely for the sake of the plan to make the keyhole appear in Hollow Bastion and force darkness to flood from that heart. It was different from the original Keyblades. There are also hints that Keyblades are artificial, people-made objects. VI. Please explain Riku's newly obtained Way to the Dawn and the Keyblade Kairi wields, and tell us about the conditions of becoming a Keyblade Wielder. There isn't just one Keyblade for the side of light and one for darkness. There are as many keyblades in existence as there are hearts qualified to wield them. At this stage, the only requirement that has been made clear is that someone must have a 'strong heart', but there are other requirements that haven't been spelled out yet which I plan to reveal another time when I have the chance. 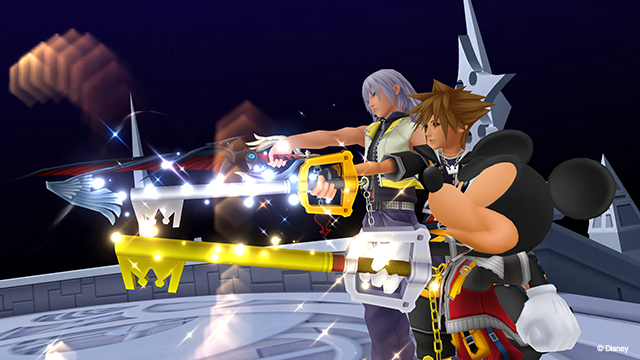 Riku's Way to the Dawn and the Keyblade Kairi wields are of the same nature as Sora's Keyblade. However, what with one having developed with the Soul Eater as intermediary and one having been handed to Kairi by Riku, I would like you to think that something not fully explained, outside the usual method of acquirement, is going on here. "The plot so far should have made you feel that Xemnas was also a special Nobody." VIII. When you defeat Heartless, what happens to the hearts they have stolen? Also, when Nobodies and members of Organisation XIII are defeated, do they return to their original forms? When a Heartless is defeated, essentially, the owner of that heart returns to life somewhere in the Realm with the body that had once disappeared. Some facts about where hearts go were also established in KHII, but those were exceptional circumstances brought about by the Organisation3. However, there is the rare case in which a body changes into a Nobody. If that has happened, without the vessel it ought to return to the heart will go into a suspended state. When a Nobody is defeated, it's a little complicated. If the heart has been released they will return to their original form as mentioned above, but if the heart is still dispossessed by a Heartless, the Nobody will be swallowed by darkness. If their heart, wherever it is in the realm, could be taken back perhaps they could return to their original human form. IX. Now we will ask about the main characters in general. Why can Sora turn into the Anti Form? 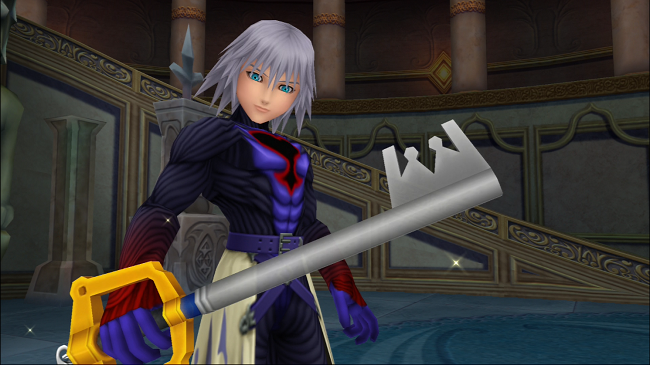 Why was Riku chosen by the Keyblade? What of Kairi's memories of Radiant Garden? How are Roxas and Naminé different from other Nobodies? And, while Sora and his friends were gone, what happened to their school, their friends, and their parents? You can consider the time Sora turned into a Heartless as the reason he can change into the Anti Form. Actually, it is more natural to think that on top of the existence of his Nobody, there would be more effects remaining from Sora becoming a Heartless. Perhaps using too much strong power will bring him closer to the darkness, just like Riku's Dark Mode. As for why Riku was chosen, there is an indirect hint hidden somewhere in the material added to this title, so please see if you can find it. As for Kairi's memories, there isn't anything particularly special there. Try thinking back to your own memories from when you were five years old - I'm sure you don't really remember that many details. In other words, I think she does and doesn't remember things on an ordinary level. The fact that Roxas and Naminé are special Nobodies is already explained thoroughly elsewhere, so please read that for the details. Essentially, when someone with a strong heart has their heart stolen and becomes a Heartless, there is a rare chance that the flesh body left behind will turn into a Nobody. However, these two have a special case - Kairi's heart had been hidden in Sora, and Sora himself was also purified of his Heartless state by Kairi. Sora's revival, which doesn't follow the usual script, meant Roxas and Naminé were born in a special way, making them left-over Nobodies of sorts. Furthermore, you should have felt from the story so far that Xemnas is also a special Nobody. Lastly, while Sora and others were gone, time had stopped for the people on the world of Destiny Islands - on the night of the storm in the first game, the Islands were wiped out. 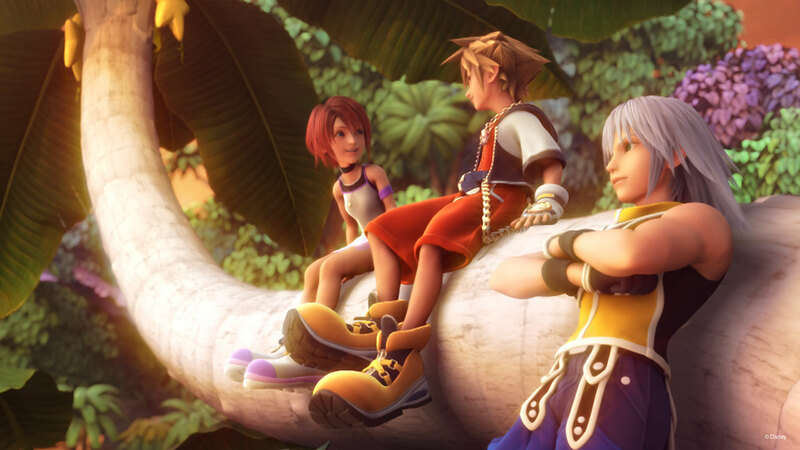 After that, the only reality for them for the year that Sora slept was that 'Riku vanished on the night of the storm', as all their memories of Sora himself had disappeared. Those memories inside them of Sora did return when Sora awakened, but in the end their memories regarding Sora simply matched those of Riku - that they had both vanished ever since the night of the storm4. X. 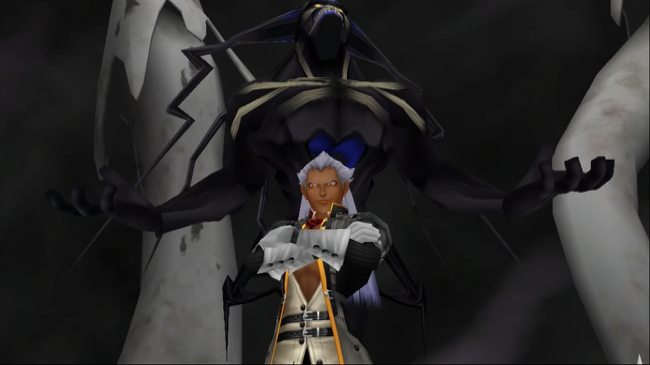 We believe that in KHI Ansem (Xehanort) abandoned his own heart. 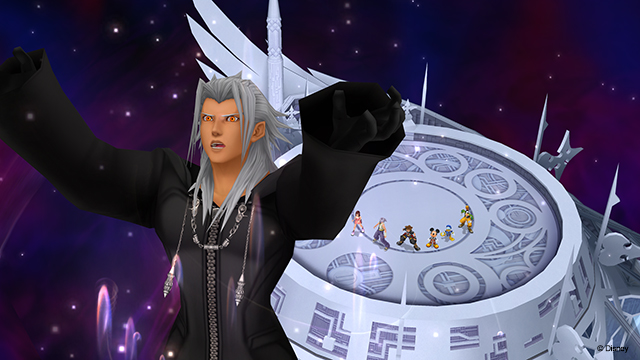 However Organisation XIII, led by Xemnas (Xehanort), sought to regain their hearts. Is this because the two of them - split as Heartless and Nobody - became different people with separate intentions? Also, despite the fact that Xehanort, who serves as their base, was meant to have lost his memories, in one of the scenes added to this title, there was a part where he insinuated something about the past. Does that mean his memories have come back? Or does it mean his memory loss was a lie all along? Both of them share a true nature, but they were acting upon separate intentions. 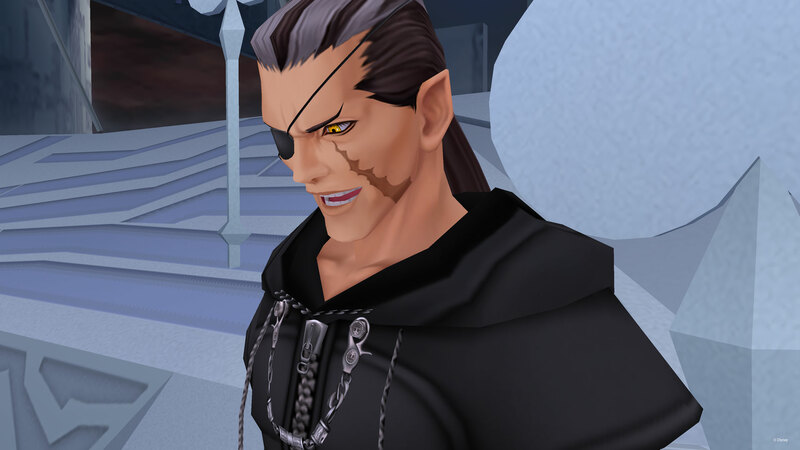 It is true that Xehanort abandoned his heart, but at that time Nobodies being born was probably completely outside his expectations, and the different natures of Heartless and Nobodies meant different methods for his goals, too. However, I think that both of them shared the same desire to be a 'complete being'. I left a new mystery hidden in the last 'Secret Ansem Report', written by Ansem the Wise. The key phrase that symbolises this mystery is 'Xehanort's Memories', in which hides a secret with huge implications for future KH titles. I still cannot reveal anything concerning the content or state of his memory. "Once you've experienced the new Kingdom Hearts titles for yourselves, please try reading this book once more." XI. 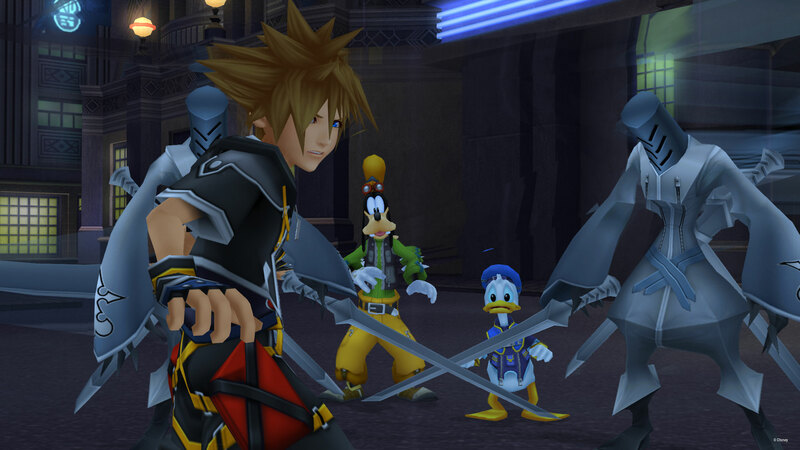 We'd like to ask for a few more details regarding the key phrase 'the Keyblade War'. Does it have anything to do with the 'fairy-tale of the children and the light' told by Kairi's grandmother5? In order to tell the story of the Keyblade War we need high-spec, high-volume hardware, and we ourselves need to gather the know-how to deal with that hardware. There are also other episodes we need to show before we can tell that story, so I won't be able to give details for some time yet. As for the fairy-tale that Kairi heard, that too requires a little more time before, like a fairy-tale you've all heard, I can make it feel real for you. In other words, if I can't talk about either of these things until later, it's certainly not unlikely that they are relevant. XII. 'Birth by Sleep', the new secret movie added to KHIIFM, was extremely significant - and some of the people who appeared seemed familiar. Even if you can't give details, can't you give us any hints? 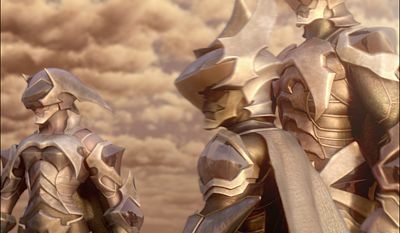 Also, do the three who appeared in armour have any connection to Xemnas, who appeared in similar armour in the last battle? There are familiar figures, and familiar faces - this secret movie is incredibly difficult to reach, but I think it is a considerably impressive movie that stirs up the imagination. There is some kind of connection to Xemnas' armour, but of course I can't answer in detail at this stage. However, this movie marks the rise of new premonitions, so please think that the motives and foreshadowing of the figures and such we've seen so far will connect up ahead. XIII. Lastly, is this the last adventure for Sora? You've said that you have the end of Kingdom Hearts in your head, but will Sora be there? And, please give us a hint concerning the future developments of the series within the limits of what you can say at present. There is a summary of the remaining questions mysteries of the KH series so far collected in this book - from that, I don't think Sora's journey is over. If you watch the end of KHII, I think you will feel those new premonitions. I can't say anything more about the 'end' of KH that I spoke of before, of course, but I don't think Sora would be unconnected to KHIII, if the numbered titles reach that far. 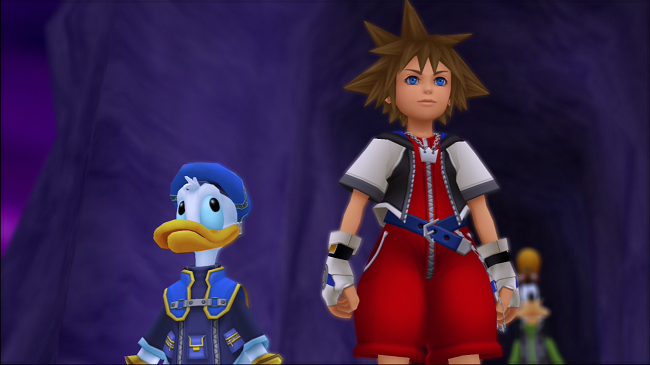 So, I think Sora will be relevant right up to if we wrap up Kingdom Hearts. As for the new developments, there are several in the works. I believe they will answer the needs of KH fans, from whom we receive extensive support. I dare label them as 'new' - please think of them as different streams rather than part of the main flow. I'll give you a hint regarding the content of one of them. In the newly added secret movie appear these words: destiny is never left to chance. In the near future, once you've experienced the new Kingdom Hearts titles for yourselves, please try reading this book once more. I'm sure you will be able to connect many of the dots. I will be so happy if the fans enjoy themselves when the time comes. First, as you look forward to the coming announcements, please play this title to your hearts content. Footnote 1: Could this mean the story from when, in the first Kingdom Hearts title, King Mickey leaves the letter and departs from Disney Castle up until he closes the door to the heart of the worlds from the Realm of Darkness? Footnote 2: We surmise that this refers to the wandering journey Riku took through each world when he was in Ansem's form in Kingdom Hearts II. 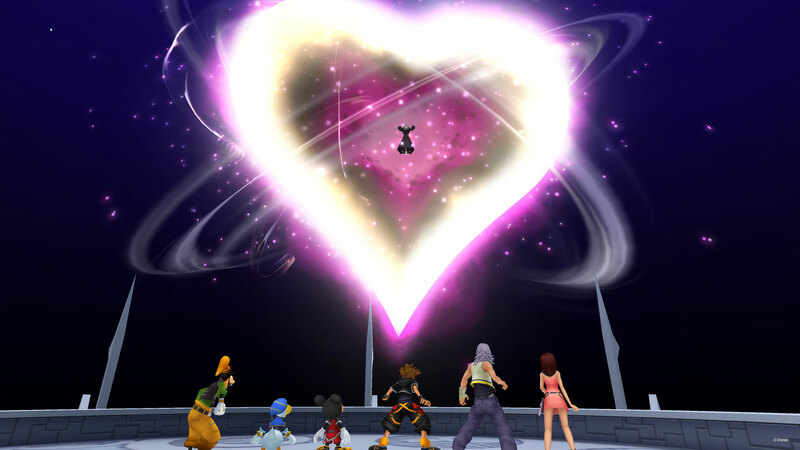 Footnote 3: In Kingdom Hearts II, many of the hearts from defeated Heartless were absorbed by a Kingdom Hearts of the 'hearts of people'. Footnote 4: However Kairi alone, due to the effects of being absorbed into Sora's heart that time, strongly felt it in Kingdom Hearts II. 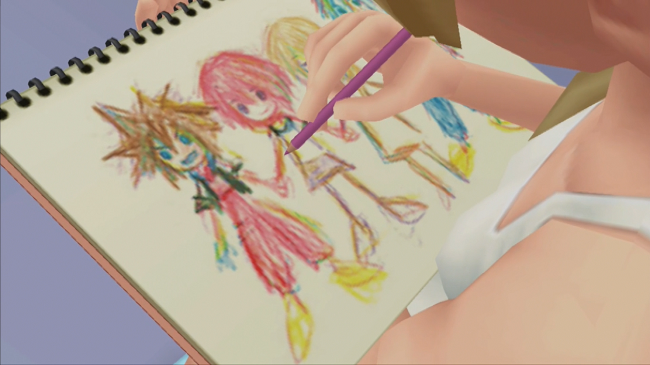 Footnote 5: In Kingdom Hearts, Sora personally experienced Kairi's memories. There was a scene where Kairi, still little, listened to her grandmother tell an old legend. It was about children who remade the world from fragments of light after it was swallowed by darkness. When a Heartless is defeated, essentially, the owner of that heart returns to life somewhere in the Realm with the body that had once disappeared. Some facts about where hearts go were also established in KHII, but those were exceptional circumstances brought about by the Organisation. However, there is the rare case in which a body changes into a Nobody. If that has happened, without the vessel it ought to return to the heart will go into a suspended state. To all of you complaining about how the whole revival of characters thing came out of the blue in KH3D, Nomura totally had this planned since 2007 if not earlier. Take your time when reading it! It really is a lot and is best digested when you have the time for it. Really great information, too. It's funny looking back at this information now that we know what we know from birth by sleep to KH 3d. It's amazing to see how much he planned out in advance. Nomura even mentions KH III so he has had something planned out. Is this the definitive translation and not the one in the KH2 interviews section?. Nomura seemed like he wanted to blab about BBS (I believe that was around the time they moved BBS from PS2 to PSP) but would have been shot in the head by staff. It really is amazing that he did know where he wanted things to go all the while still making things up along the way. after rereading the part about Xemnas being a "special Nobody" like Roxas and Namine, I realized something: shouldn't their be a second Nobody created then, too? 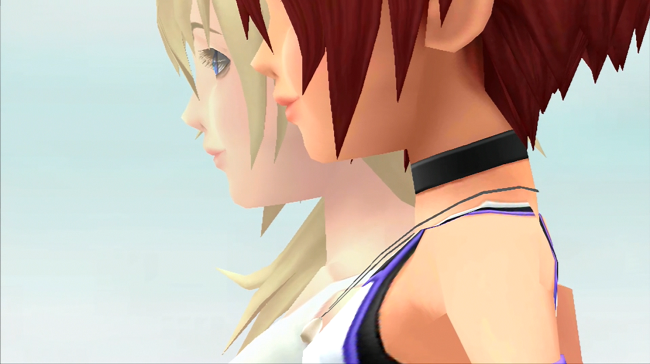 Sora created both Namine (who went back to Kairi because...reasons?) 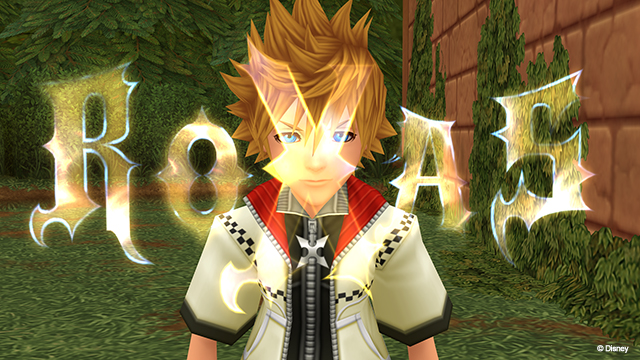 and Roxas when he released the hearts inside of him, so why wouldn't AX make more than one as well? not only that, but he had 3 hearts inside of him, so its even more complicated! and here I thought rereading this I would just be smirking at how much we have learned since then. I realized something: shouldn't their be a second Nobody created then, too? Theoretically, it'd only happen if more than one heart left the body (but that is also debatable without getting into a deep theory about the body being able to fragment). As we know at this moment, Xehanort and Terra's heart fused to a degree and Eraqus's heart started deep within Terra's heart. For now, only the one Terra-Xehanort heart left Apprentice Xehanort's body when he stabbed himself with his Keyblade like a psycho person. It was because she was more Kairi than Sora in essence because it was only the barest amount of Sora's body and the touch of Kairi's heart that created her, but Namine is still our biggest mystery in many regards because she is truly special. 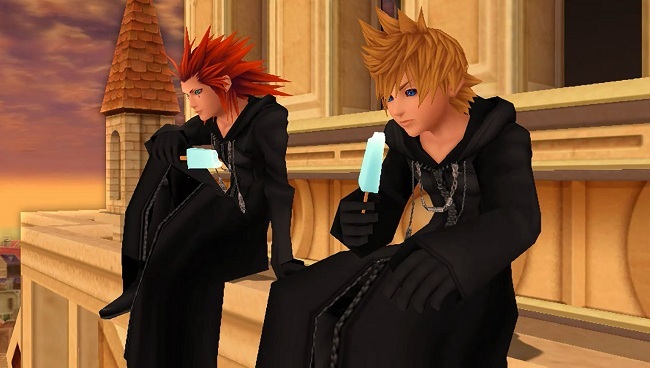 and Roxas when he released the hearts inside of him, so why wouldn't AX make more than one as well? not only that, but he had 3 hearts inside of him, so its even more complicated! Like I said above, it'd only happen if those hearts were released from the body...and even then who knows if it'd really make a Nobody. Namine herself was an extremely special case that in all technicality shouldn't have even existed. And I'd love to keep her that way. A lot of people take issue with the vagueness that is the existence of Namine, but I like that she's a glitch in the system. I like that she's unexplainable and an anomaly. I think anomalies are what the series is about. Great work on this piece. Really enjoy it so far, but I'll read more tomorrow when my head is more clear and less drowsy. Guess I'll make some pointers on the worlds. So Disney worlds and Traverse Town (I'm assuming since there's no proof of being in the Realm Between) are in the Realm of Light. CO, TwTn, TWTNW, and YS'sT are in the Realm Between. So Yen Sid's Tower is its own world but is still part of Twilight Town and can be reached by cool inter dimensional trains. What if Twilight Town was the center of the Realm Between like a hub? Maybe you can travel to different worlds in this realm by these trains. Also Yen Sid's Tower is the only world that's like a piece of something bigger instead of typical spherical shape. Maybe there are more fragments like his that go to the same world. Also does this mean the Symphony of Sorcery is considered a world in the Realm Between or is it the fragmented world? Also could it Symphony of Sorcery just refer to the areas reached in the books? Last point I want to make is that the End of the World has been the only world traveled in the Realm of Darkness. It seems plausible for more of those worlds in this realm to be accessed in KH3 since there has been only one appearance. Hopefully this makes sense, I'm fighting off sleep and haven't proofread lol..
Last point I want to make is that the End of the World has been the only world traveled in the Realm of Darkness. It seems plausible for more of those worlds in this realm to be accessed in KH3 since there has been only one appearance. Hopefully this makes sense, I'm fighting off sleep and haven't proofread lol..
End of the World was a special case, it was an amalgam of fragments left behind by destroyed worlds and it wasn't in the realm of Darkness bust rested on its border. The Realm of Darkness was beyond the Door, so it stands to reason that The End of the World was in the Realm Between. Nomura probably didn't mention it above because it wasn't a real world and doesn't exist anymore. From what we've seen, there really aren't worlds in the Realm of Darkness, just one long strand of wasteland and debris and an ocean. Even when the worlds from the realm of light were falling to darkness they laid fragmented in that space, which is why Aqua was wandering the darkness and the happened upon Cinderella's castle. It was all one world. At that time, it may have been possible to explore the ruins of worlds, but since Sora's actions have restored the worlds I'm sure it's probably more of a wasteland. It's possible it's filled with more pieces of the world that was divided after the Keyblade War but it wouldn't be the same as visiting worlds in the realm of light. So Disney worlds and Traverse Town (I'm assuming since there's no proof of being in the Realm Between) are in the Realm of Light. CO, TwTn, TWTNW, and YS'sT are in the Realm Between. Except there is a ton of proof that Traverse Town is a world on the edge of the Realm of Light in the Realm Between. I was reunited with an old friend at Castle Oblivion, but was unable to disclose my identity. If he knew the situation, he would likely try to stop me from carrying out my revenge. As much as I would dearly love to converse with him as in the old days...that is now but a hopeless dream. My friend has been fighting in the realm of darkness. Most likely he found his way there through Traverse Town. Like Castle Oblivion, that village also rests in a cleft between light and dark. It consists of the remnants of worlds whose hearts have been stolen by the Heartless. It is where those who have barely escaped the destruction of their worlds eventually find themselves. This "realm between" is quite unstable with corridors of darkness appearing from time to time. Whenever a world disappears, some of its inhabitants must arrive through these corridors. Surely Sora traveled these same corridors of darkness when he first came to Traverse Town. 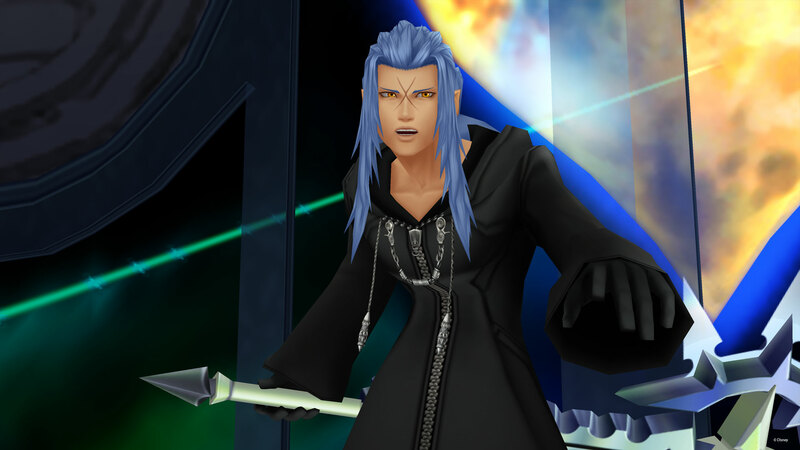 It seems my friend, fighting in the realm of darkness, appeared in Castle Oblivion through a corridor of darkness constructed by Organization XIII. My new ally Riku also affected his return via one of these corridors. He swore to me he would give his all for his best friend Sora. 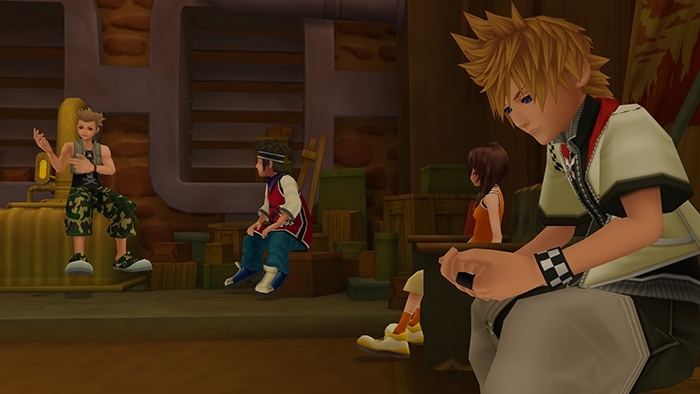 In fact, Sora's memories have been slow to return. Thus I have asked Riku to bring me another Sora - his Nobody. Sora is indispensable if I am to achieve my goal. I require the Keyblade-wielding hero to fly through the realm of light and defeat Organization XIII. Nomura: Sora and co.’s form is due to Yen Sid’s magic, so the way it works is that they can’t turn back until they return to the Mysterious Tower, and Dream Eaters were appearing because Sora was still asleep. Also, ever since Organisation XIII was defeated in KH2, the The World That Never Was’ existence as a world has become uncertain. In the first place, the worlds in the rift between darkness and light have different rules than other worlds. The Mysterious Tower isn’t always standing in a fixed place. Traverse Town too reforms its shape every time, which is why the version that appears in this title is clearly different than the version in KH1. Worlds that border the realms act differently from others, and because Traverse Town is created from the fragments of lost worlds, it would make sense that it borders the realms as it does. Also, as AtW explains, worlds in the Realm Between have natural-occurring corridors. But yes, the Disney worlds are all in the Realm of Light. So Yen Sid's Tower is its own world but is still part of Twilight Town and can be reached by cool inter dimensional trains. What if Twilight Town was the center of the Realm Between like a hub? Maybe you can travel to different worlds in this realm by these trains. Anything is possible, but I'm pretty certain Yen Sid made that train specially lol And anyways, people aren't supposed to know about the existence of other worlds. It is unlikely Twilight Town would work in such a manner except in a "only special people can do special things" way. Also Yen Sid's Tower is the only world that's like a piece of something bigger instead of typical spherical shape. Maybe there are more fragments like his that go to the same world. Also does this mean the Symphony of Sorcery is considered a world in the Realm Between or is it the fragmented world? Also could it Symphony of Sorcery just refer to the areas reached in the books? It seems more likely that Symphony of Sorcery was all part of one world and Yen Sid's tower is a fragment of it. As for if Symphony of Sorcery is a world in the Realm Between, nothing can be answered because it was a Sleeping World. Who knows where they all came from, only that they were destroyed and fell to sleep (bar TWTNW and Traverse Town which exist in the Waking and Sleeping Realms at the same time). Last point I want to make is that the End of the World has been the only world traveled in the Realm of Darkness. It seems plausible for more of those worlds in this realm to be accessed in KH3 since there has been only one appearance. We probably will go there, especially since Aqua is quite literally on the other side of it. Keep in mind that worlds in the Realm of Darkness are quite literally dead worlds (until they are saved). Any inhabitants of them would either be in stasis, have been scattered across the worlds, or in a state of Sleep (which is p much the equivalent of a state before death lol) if not just actually dead. What's so great about Goldpanner's translation is that she uses terms that are also used by the official translations of the Japanese material in the games, something that requires deep insight and knowledge of the Kingdom Hearts terminology. If only the translations of the recent games were made with the same care, so a big kudos to that. This interview is special because Nomura talks about how the universe of Kingdom Hearts works in detail. But (at least in my eyes) he seem to contradict himself. He says the realm of light is a giant plane where the worlds sit on top and the realm of darkness is the reverse side, but at the same time the realm between acts like staircases between the two realms. How can this be the case? The Memorial Ultimania features this diagram which implies the second case is true, on the other hand "reverse" is a theme that is developed steadily in the series. Does anyone have an idea how both of these descriptions could be working? Whew, Goldpanner surely polished up that translation nicely. It's much more clear and easier to understand now compared to the old version. Re-reading all of this though makes me scratch my head in regards to the "Nomura makes things up as he goes"-statement that often gets brought up especially by those who like to heavily criticize the story. When looking at all this with the knowledge we have today from BBS, Coded and DDD it does not seem that NOmura made it all up as he goes, but had a certain clear framework in mind ever since 2007. When Nomura is dancing around the whole "Xehanort's memories" and "major implication of dual-wielding" issues with "ten-foot poles" you can figuratively see that he had at least some things for BBS already firmly in mind. Maybe thinking of the steps between (Twilight Town, Yen Sid's Tower, TWTNW, Castle Oblivion) similar to a staircase that leads from the ground level of a house to its basement? 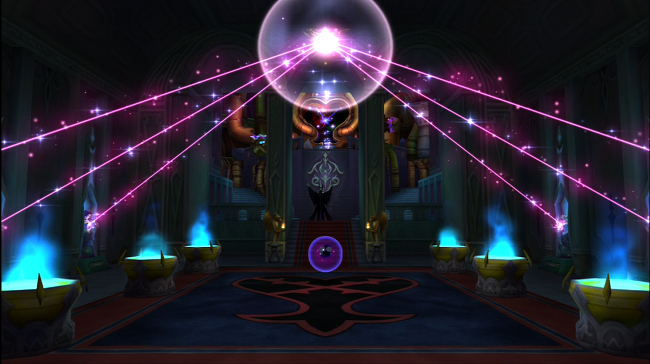 I wonder if Traverse Town would be very near to Twilight Town, as far as the order he gives between the two realms. 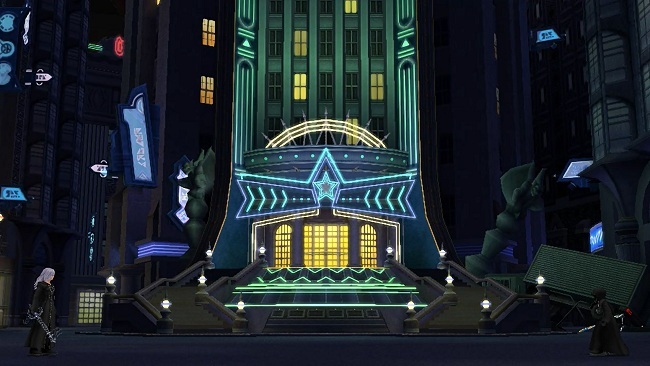 It could also be that Traverse Town has no fixed spot but moves around just like Yen Sid's Tower. After all, the worlds in the Realm between all have special properties and work often different from normal worlds of the Realm of Light. Thank you so much :3 I really did put a lot of effort into this... I worked on it on and off for nearly two years! Lots and lots of searching through and comparing Japanese and English game scripts and wikis and cutscenes went into this :P I'm really happy that you noticed that! And also that people are enjoying reading it. It seems I already read this long ago .... But wow, thank you for this detailed translation guys, it actually makes you feel Nomura had everything planned since then (while still adding things here and there). Hopefully, some of the complaining will stop now, at least for thos who have access to this tread. Gummi Blocks have the ability to breach any world as they were originally part of the world-covering shells. How exactly do we know ALL the barriers have fallen 1 year after BBS? The only kinds of world transportation we've seen are through gummies or portals, and both can bypass the barriers (according to what Nomura says here). There's also the BBS way, but that was before the fall. Leon did say something along the lines of "when the barrier(s) are restored, we may not be able able to see each other again" ... Couldn't he only be refering to Hollow bation's (Radiant garden's) barrier, since they decided to settle down there? I may have forgotten something somewhere though, so feel free to correct me if I'm wrong. I think you might be missing the point. We know that his development process starts with having ideas for the next title(s) floating around in his head while he works on the current title. And there's nothing wrong with that. That's really all you can ask for in a series, it's very rare for a creator to have all of the installments completely planned out. He does make things up as he goes along, and that's fine! That said, I think the real complaint is that he might not give enough thought to the implementation of some of these ideas that he makes up as he goes along. For instance, how he originally thought a "girl" would have influenced Roxas to leave the Organization during his work on KH2, which would have developed into the idea for Xion. I'm biased, since I'm not a fan of her character, but regardless of how much you do or don't like her, it's hard to argue that her presence in the story doesn't come across as artificial, ie the whole idea of her being this huge part of the plot and then being wiped from everyone's memories gives the vibe of her being an afterthought. So, really, it's OK that she is technically an "afterthought," but when the writers don't integrate something like that more organically into the plot, it's easier to see their footprint which can really take you out of it. Makes you wonder what would happen if Sora defeated Xemnas first lol..
After reading part IX I got to thinking about Sora's parents when he was sleeping. Mom: What do you suppose happened to our kid? What was his... or her name again? Really good read. Lots of information to soak in, but there isn't much that contradicts the other titles made since then. It's what makes Namine truly one of the most interesting characters of the series. She's the great unknown! I think Grass explained it perfectly, but it should also be noted that Nomura said straight out that he makes a lot of this stuff up as he goes in an interview sometime before/after KH3D's release and it has done nothing but reaffirm the belief by fans. 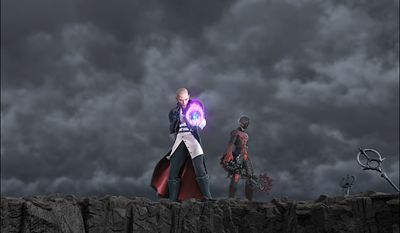 Somehow, considering Xehanort as character with an ambitious nature, I doubt it'd have been any different beyond the speed of revival. They probably didn't even remember they had a child, which is utterly depressing...and if they were self-aware of the fact after remembering, it'd be even worse. There is something that totally bothers me. 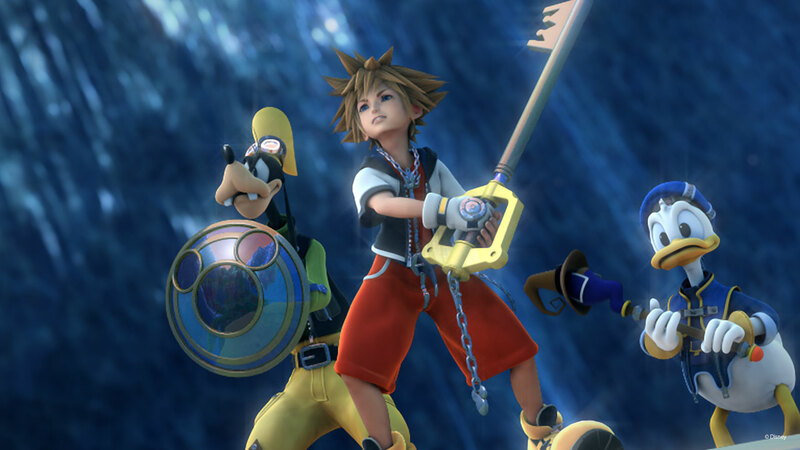 Nomura said that Mickey has chosen his keyblade because of Sora. Did Mickey change his keyblade in order to fit to Sora's one? (since Mickey's current keyblade looks different than in bbs). Besides that, I'm totally impressed how Nomura planned the whole thing for such a long time now. 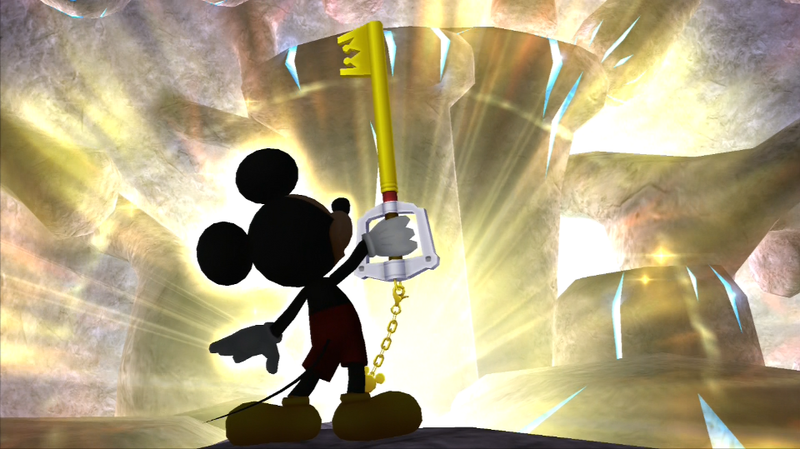 Mickey needed a Keyblade from the Realm of Darkness in order to aid Sora in closing the Door to Darkness. Mickey knew that things would come down to that and so it was important that he prepared for that issue and thus led him on his journey to the Realm of Darkness. Because Star Seeker is a Realm of Light Keyblade, it wouldn't have done the job. Thus, Kingdom Key D.
Edit: I failed to mention that Mickey still wields Star Seeker. He has two Keyblades now and alternates between them depending on the situation. In addition to this (as this question is probably sure to come up), the reason why Mickey doesn't dual wield them is because he doesn't have a second heart inside him. Dual Wielding is only possible when having somehow two hearts, thus Mickey can only wield one of the blades at the same time and has to choose which one he pulls out.